Just wanted to post about a new mod I’m making available for MyBB. It was based on one called Buy Credit from the mybb.ro team. 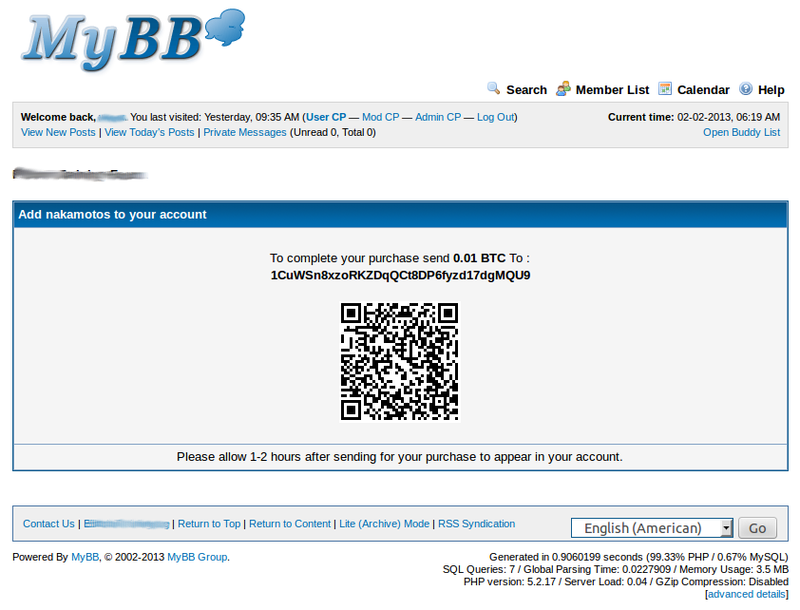 Anyway, it lets a forum admin sell their forum points/gold/tokens for bitcoins. It uses the very clean Blockchain.info API to get addresses and all funds get forwarded to the forum admin’s Bitcoin address of choice. For now the mod is available here. It has been submitted to the MyBB.com mods database so should be there once approved.